Dr. Qiang Cai, MD, PhD is a Professor of Medicine, Director of Advanced Endoscopy Fellowship at the School of Medicine of Emory University. 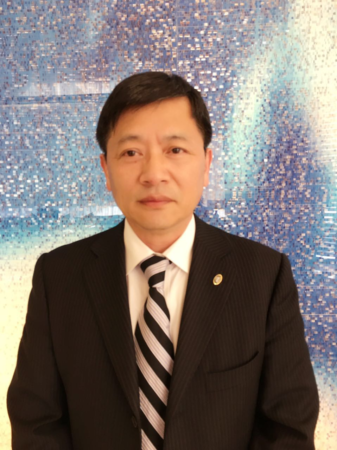 He is a graduate of Jiangxi Medical College in China and completed his internal medicine and gastroenterology training in Peking Union Medical College Hospital, where he began his career in Gastroenterology. In 1992, he obtained his PhD in gastrointestinal physiology from Cornell University, where he studied intestinal calcium absorption under the guidance of Dr. Robert H. Wasserman, the father of intestinal calcium binding protein. He completed his second internal medicine residency training at Marshfield Clinic, and his second gastroenterology fellowship at the Emory University School of Medicine. He joined the faculty team at Emory University School of Medicine in July 2001. His main research interests are pancreatobiliary diseases as well as therapeutic endoscopy. He is one of the few gastroenterologists who can perform all different kinds of gastrointestinal endoscopic procedures, including ERCP, EUS, STER, EFTR, Zenker’s diverticulostomy etc. He is capable of removing large flat polyps and stromal tumors in the gastrointestinal system. More recently, he started new endoscopic procedures, such as endoscopic submusocal dissection (ESD) for some gastrointestinal cancers, per oral endoscopic myotomy (POEM) for patients with achalasia and gastric per oral endoscopic myotomy (G-POEM) for patients with gastroparesis. Those procedures are only available in a few centers in the United States. In addition to his research and clinical work, he teaches medical students, internal medicine residents and gastroenterology fellows of editorial boards. He also serves as editor, associate editor and member of editorial boards for many journals, including American Journal of Gastroenterology. He is the current president of Georgia Gastroenterological and Endoscopic Society and Governor elected of American College of Gastroenterology in Georgia State.